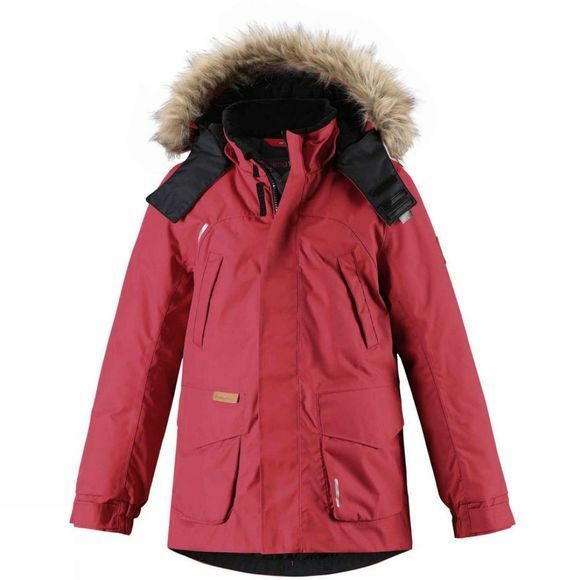 This very warm kids' waterproof down jacket is made of windproof and breathable material. 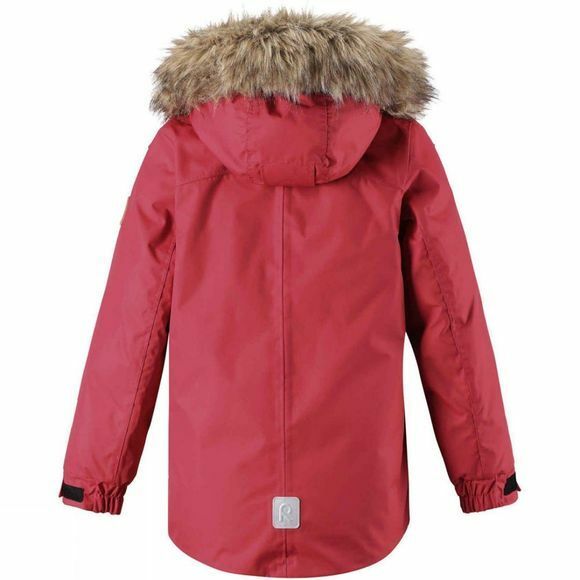 This very warm kids' down jacket is made of windproof and breathable material that is completely water resistant, too! All the seams of this stylish jacket have been sealed waterproof to ensure maximum comfort during fun winter outings, whatever the weather. The longer style can be adjusted at waist and hem for a good, unique fit, if wanted. The detachable hood protects from chilly wind but is safe also when playing outdoors. Attached with snap buttons, the hood comes off easily if caught on something. Equipped with smooth lining. To finalize the trendy look, the hood is equipped with an elegant faux-fur trim that can also be removed. The many pockets store important items during outings. Note the handy lifesaver loop hidden in the flap pocket - attach reflector to the loop for additional visibility. This super winter warmer is also super easy to care, thanks to the dirt and water repellent surface, and it can be tumble-dried after washing. Classic and warm kids' waterproof jacket suits all occasions and keeps active outdoor adventurers warm and dry!